This is the first ‘Black Art’ edition, a 19-year old Bruichladdich from 1989 that was matured in ex-bourbon as well as a number of different wine casks. It was released in 2009 with a total outturn of 6,000 bottles. In the meantime, a 2nd, 3rd, and 4th edition were released and this first edition has become quite scarce, which is why I consider myself lucky to have obtained a sample from a fellow malt maniac. The nose starts with sweet flavours of port wine, followed by notes of rubber (but in a good way), cinnamon and a touch of balsamic vinegar. Then there is a hint of sawdust, and the whole nose turns a bit musty. Interesting. Adding water diminishes the sweetness and brings forth distinct grape flavours that complement this rather winey nose. The palate is medium-bodied and spicy. Chocolate flavours have come to the fore, followed by cinnamon and balsamic vinegar. With water the palate loses some of its spiciness and turns mellow; the cinnamon flavours gain in intensity and are accompanied by notes of caramel. The finish is long, warming and quite winey until the very end. As I am a fan particularly of the 4th edition I had rather high expectation for this ‘Black Art’ expression; however this was not my cup of tea. Both nose and palate, although interesting, were very winey and in some places even a bit acidic. Overall, I missed the balance and the interplay of flavours I had observed in the later editions. But as I mentioned I was grateful to have been given the opportunity to taste this, therefore: Many thanks for the sample, Andi H.! The Black Arts Series 3, Matte black bottle. 1 oz pour at Jack Rose in DC. Into Glencairn glass. Pours quite dark caramel amber. Nose is thicker sweet dessert, no alcohol heat. Soft, sweet honey, caramel, berries. Taste is really soft. Dessert like. Tannic and dry up front. Long sweet berry and rum raisin. Even some fruity dessert like blueberry, kiwi, peach. Really nice fruitiness. The fiance thinks there is a lot of blackberry and I agree. Really nice. Balance is perfect. So easy to drink. Thicker legs. 92 area. Tad of chlorine in nose is a bummer. Ok so this is my first review here. I'm not a newby to whisky but I'm by no means an expert so apologies to anyone wanting an in depth professional review. What I can say is that this is different to most whisky's I've had before. It's very red in colour, as others have said nearly pink, and it does have an almost wine like taste to start. The warmth seems to build slower than some other whisky's which hit you straight away. Very smooth and easy to just sip gently and very enjoyable. A word on the marketing though: am I the only one who noticed that they seem to have used the star of David instead of the pentancle on the box and bottle? Interesting error! This Bruichladdich is something of an enigma. It has matured on oak ex bourbon barrels before having been finished on an ‘assortment of wine barrels’ from Bruichladdich’s warehouse number 12. The enigmatic black packaging did not reveal the contents until I poured it. What the hell? This looks more like a rosé wine than whisky! This is simply… pink! The first thing I smelled was the red wine – very much so – and that was somewhat weird. Almost a let-down. I do smell sweet stuff like strawberries and grapes, but also sour elements such as wine vinegar. In my eyes (err… nose) this is too much wine and not enough whisky. Even after a few minutes, the sourness is dominant. After a rich attack (almost all of it red fruits), this one becomes very delicate and generous. It warms the mouth complete and has no need for water, despite the higher ABV. It’s even a little bit too sweet to my taste. Is that cassis syrup? But pretty darn good, nonetheless. The finish is warm and very long indeed, but too winey to my taste. After tasting 3 expressions, I am becoming more intriqued by Bruichladdich's memorable and distinctive creations. Seems like they really let you know where the malt was matured. Similar to Black Art's wininess, the Links K-Club 14-year has a strong bourbon influence. It's not difficult to make a whisky taste like wine. The difficult part is to know when to stop - over-influence is commonly found among wine finishes. 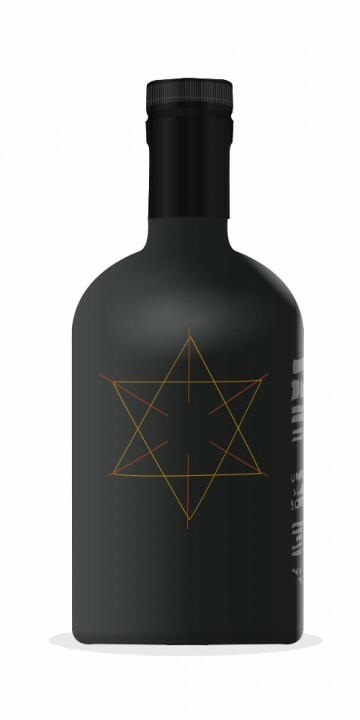 The 19 years old Bruichladdich Black Art is a tribute to alchemy. It was finished in bourbon casks as well as different types of wine casks in warehouse n°12. The spectacular pink hue already informs you about the wine treatment. Nose: definitely wine treated. Hints of port wine with sourish notes that remind me of cellars and of raspberry vinegar. Lots of red berries, strawberry marmalade, grapes, hints of cherry liqueur. A bit of musty oak as well. Enticing, but very very winey. Mouth: less fruity sweet than I expected although there is still berry juice to be found. Fresh, sour notes again, then some grapefruit, heavy wine and wood. Cooked strawberries. Finish: warm, quite long, winey. They don't give more information, but it's a mixture of different finishes. Certainly not just port or sherry, there's definitely regular red wine in there. I prefer sweet white wine finishes, but I've had much worse than this. I'd actually recommend it if you want to try a red wine finish. Are the wine casks from fortified wines (Port/Sherry) or regular wine? If it's the latter; is this an example of wine finishing that works for you @WhiskyNotes?